Crush injuries or significant trauma can cause serious nerve damage. The damage most often occurs in the neck, face, back, and shoulders. There are various types of injuries that you can suffer from a car accident. While some are immediately evident such as a laceration or a fracture, others are not diagnosed until you seek medical attention. An example of such injuries is nerve damage. Nerve damage can have a long-term effect on the quality of your life. Estimating the future costs of injuries should be included in your auto accident claim. Crush injuries or significant trauma can cause serious nerve damage. The damage most often occurs in the neck, face, back, and shoulders. It is important to seek immediate medical treatment for nerve damage as it can have long-term implications. It is common for people who have suffered nerve damage to feel chronic pain and sensations such as burning and tingling in the affected area. After seeking medical attention, your medical report should include details of the car crash, which body parts sustained an injury and the kind of symptoms you are experiencing. How Much is Nerve Damage Worth in a Car Accident Claim? You may receive compensation for medical expenses and lost wages. In some cases, you may also be able to recover pain and suffering and other forms of compensation. The value of compensation for nerve damage depends on several factors. Because of the variety of factors that affect the value of the claim, it is important not to settle the claim prematurely. The permanency of the nerve damage and expected duration of symptoms must be determined before a settlement agreement can be reached. Nerve damage from a car crash is not always permanent, but it is possible to experience weeks or even months of pain and other symptoms. 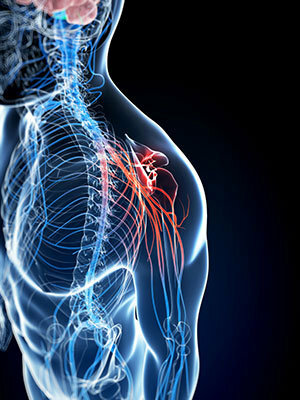 Consult with a St. Louis Nerve Damage Attorney from The Hoffmann Law Firm, L.L.C. to know how you can protect your rights and get fair compensation for your injury. Call us at (314) 361-4242.